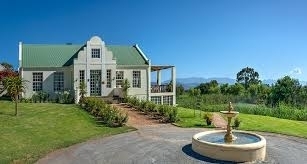 Rosendal Winery and Wellness Retreat offers the discerning traveller a unique country guesthouse and spa experience. Renowned for its warm hospitality, pristine mountain setting, excellent cuisine and award-winning wines, Rosendal is an oasis of calm conveniently located near Robertson, amidst the many attractions of Route 62, less than two hours drive from Cape Town. With eight generously appointed rooms, all en-suite and offering magnificent views, our 4-star guesthouse offers visitors the opportunity to retreat or mingle, and is ideal for intimate celebrations and corporate breakaways. Soak up the farm’s natural diversity from your private verandah or enjoy a refreshing swim in our rim-flow pool. For nature lovers, a short walk round the farm dam, with its viewing deck, is pure escapism amidst the bustle of bird life. And, in season, an appreciation of farm life comes from witnessing the harvesting of the Sauvignon Blanc grapes, and the apricots in the adjoining orchards. Our focus on wellness seems wholly appropriate in such a sublime setting. 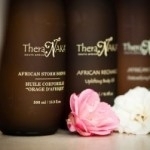 Choose from an extensive menu of body and facial therapies, including body wraps, massages, cleansing treatments, manicures and pedicures, and treat yourself to the nourishing properties of the TheraVine product range used. Locally produced, TheraVine has, as its essence, grape-derived ingredients, rich in antioxidants and entirely fitting for use on our historic farm. For brides-to-be, our destination spa creates an ideal setting in which to prepare for your special day. Having indulged from the outside, it seems only natural to savour the tantalisingly fresh flavours available at our on-site restaurant. With much-lauded chef & restaurant staff, you are guaranteed a superb gastronomic experience, be it for breakfast, lunch or dinner, all of which are served daily. Our well-priced menu ensures that there is something for everyone, with an emphasis on honest food, masterfully prepared. With a choice of seating either on our deck overlooking the dam or in the restaurant, where a log fire welcomes you in winter, you are assured of a relaxed yet refined dining experience. Central to time spent at Rosendal is a visit to our cellar, where guests and day-trippers alike can enjoy free tastings of our selection of award-winning, premium wines, for sale only at the farm or by direct order. Handcrafted from selected grape cultivars, our wines are produced under four appealing ranges: Rosendal Breeze, Rosendal, Rosendal Barony and Rosendal Limited. Dinner guests may also request our wine-and-food pairing experience, facilitated by one of our knowledgeable staff members, all of whom are passionate about our wines. ust as to embrace an old friend on departure allows you to savour their fine company, a visit to the Rosendal Boutique offers guests and visitors the opportunity to take home a cherished reminder of an exceptional Winelands experience. From freshly baked treats and preserves to handcrafted bags, clothing and earthenware, our on-site shop is the ideal place to find your chosen memento. Never has the demand for being perfect been so insistent. We are expected to fill various roles simultaneously on different levels: professional, social, martial, and parental. The result of such would be an existence of fragmentation. In other words, we devote less and less time exclusively to one task. It remains to define and nourish in minute detail this promise of response to a quest for total harmony. In this way the “ritual” of Rosendal SPA brings about a gradual and progressive calming effect. Our qualified therapists offer traditional treatments using products made from grape seed extract, enriched with antioxidants. At Rosendal SPA we utilise the outdoor environment for many of our activities, including the swimming pool, steam bath and shower. Indulge in personal service and unique treatment at our luxury establishment. All massages and treatments are done by qualified and experienced beauty therapists. Children 12 years and older are welcome with parental supervision. From beneath pointed cathedrals of mountains solitude and a serenely azure sky, the Cape vineyards provide the essence which – when imbued with natural fynbos and other herbal extracts – presents a sensory spa range, promising natural beauty and skin care – TheraVine. TheraVine’s patented process draws on extracts of the vine’s powerful anti-oxidants which are known to successfully combat ageing as well as act as an antidote to stress & pollutants. Containing powerful anti-wrinkle and cell wall-strengthening properties, TheraVine is able to combat free-radicals to provide for a healthier, more beautiful skin & body. Distinctive to TheraVine is the infusion of essential oils of Aroma-therapeutic, organic and healing indigenous Cape Botanicals which refresh, sooth and rejuvenate. TheraVine – an extra-sensory range of next generation, vine-derived beauty from the soul of the Cape.